I've used a few of TRESemmé's haircare products over the years, so when they realeased a new line called Split Remedy, I thought it was worth checking out. 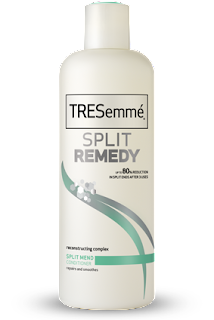 Split Remedy (US site/UK site) claims to reduce the number of split ends and fix 80% of split ends after 3 uses! For someone with long locks, that's a serious claim. So I found that while it did improve the number of split ends I can see, my hair has been left feeling heavy and greasy. Ya know that feeling you get when you've either over-conditioned or forgot to rinse all the conditioner out? Yep, that one. It might react differently to different hair. I have thin and fine hair that's usually pretty healthy and shiny. I do colour my hair, but at a salon about 3-4 times a year. My hair is also long, so yes, prone to split ends, but honestly, it's never really bothered me and I haven't had a problem with frizz before. It's usually shiny and sleek with no products other than just a good shampoo and conditioner. Since my faith in TRESemmé is so high, I did think maybe I was doing something wrong. 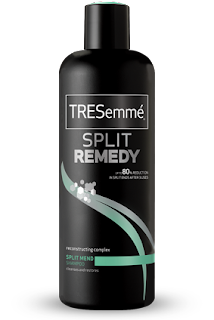 I've been trying everything with this shampoo and conditioner - including shampoo only, less conditioner, more conditioner, but all coming up with a similiar result. This is the first time I can honestly say that I'm not sure I want even finish out the bottle on these. What a disappointment. 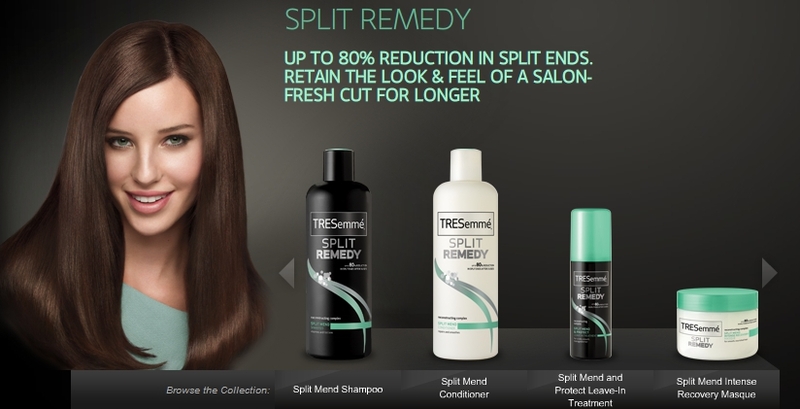 My hair and Split Remedy just don't seem to have a happy ending. I think your right about different hair types, I tried and loved this! That good to hear! I wish I could give you my bottles. I've still got 3/4 of them left >_< It's so weird, cos I've never had such a result from a shampoo and conditioner before.